The approach from the Directors in the interview was welcoming and friendly; it was more of a career discussion rather than a grilling about my experience. They had told me what to expect from them; what is expected of me; gave me a clear career structure and what I needed to do to achieve it. Barcelona holiday target in 2016, it was the first holiday I went on with the team! Had a great time with everyone and it was a brilliant goal to achieve because I got to go on an all-expenses paid holiday with the people I work with! Making the step from a trainee to a fully-fledged Consultant in a short space of time; was one of my proudest moments. However the main one was carrying on that progression to a become a Senior consultant back in June of 2016 and continuing that to reach the £500k club earlier this year. 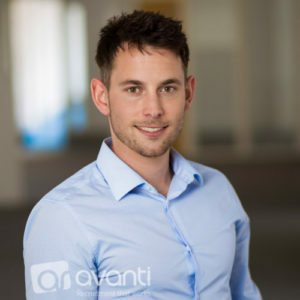 In terms of having the full market and industry training followed up by the support, Avanti is definitely second-to-none. The support structure we have in place is fantastic, from a full professional training programme to consultants that are always on hand to help. That mixed with the career progression on offer – the sky’s the limit! The culture we have is friendly and welcoming, but we have a good balance between that and being extremely hard-working.